The 9-title Wonders of Physics and Chemistry series covers everything from the definition of an atom to the science of light. Students can start to develop basic understandings of the fundamentals of science, then work their way up to more complex subjects. Each program includes a subject specific teachers guide which includes subject matter revision and suggestions on how to present material, questions to ask students, and class projects to help illustrate the key concepts. One of Newton’s Laws of Motion states that if the forces acting on an object are balanced, then the object will maintain a constant speed of travel. For example, if friction and air resistance acting upon a cyclist are equal to the pedaling speed, the cyclist’s speed will remain the same. 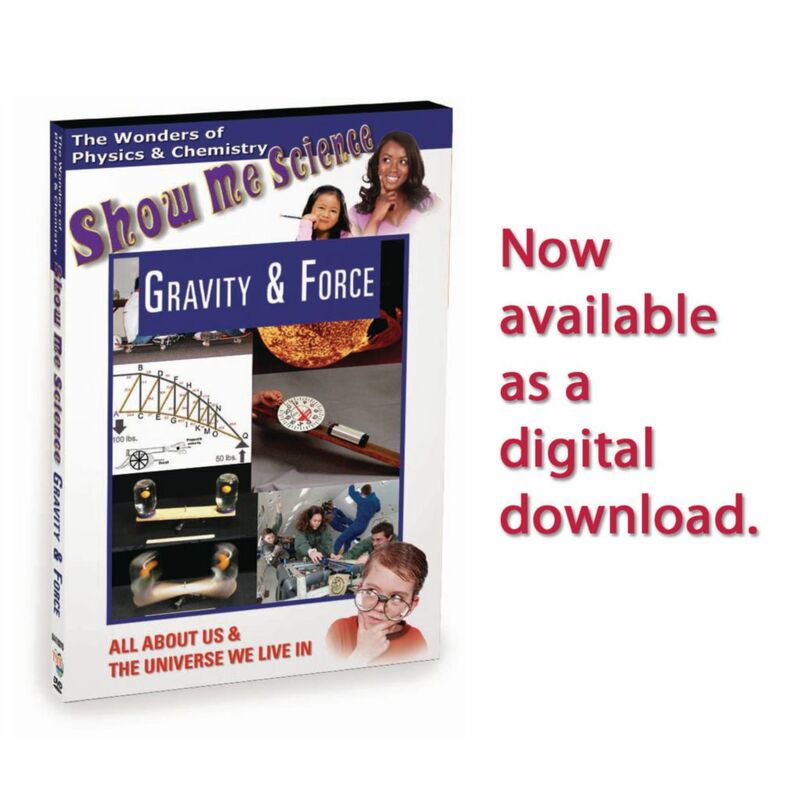 This program explains forces such as lift, air resistance, and gravity, and their effects on skydivers, airplanes, and racing cars. The program also describes how airplanes counter gravity in order to fly.